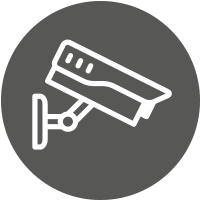 Ensure the security of your retail premises is optimised with remote monitoring services from Farsight. When your shop is closed, feel reassured that security experts are monitoring alarms coming directly from your site. Not only that, but intelligent video analytics can help to identify suspicious activity when your shop is open – for example, an unauthorised individual entering a store room or staff area. Remote monitoring will ensure incidents, such as fire, theft or an intrusion, do not go unnoticed. As a result, your shop will be able to continue business as normal. At Farsight we currently provide security for three out of the UK’s top five retailers. Find out how your shop’s security could be improved with remote monitoring. Get in touch with Farsight today. Don’t forget that if your retail park has it’s own internal monitoring station, where security officers monitor CCTV, alarm and access control activity, Farsight can act as emergency backup if any systems fail. That way, your site will never go vulnerable. Get in touch with us today to find out how Farsight Security Services could improve your retail site or shop’s security. Phone us on 0845 371 0101 or send us an email.